Queen began 2017 by announcing dates for a summer tour of North America with Adam Lambert; the group’s first concerts on the continent in three years would start in late June. The group promoted the trek with a surprise guest appearance on CBS-TV’s The Late Late Show that saw Lambert and host James Corden perform a sing-off battle to determine who would be the better frontman for legendary UK outfit. More tour announcements followed in the spring, with Queen and Lambert detailing a fall run across Europe and spring 2018 shows in Australia and New Zealand. On the eve of the North American tour launch in June, the band performed on ABC-TV’s Jimmy Kimmel Live, and then opened the extensive summer shows spotlighting their 1977 album, “News Of The World”, at the Gila River Arena in Phoenix, AZ. 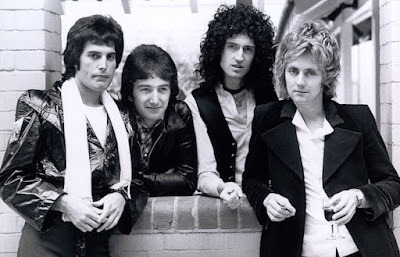 Following the tour’s completion in August, Queen announced plans to release a 40th anniversary box set edition of the 1977 record in November. The 2017 3CD/1DVD/1LP package celebrating the group’s best-selling studio album delivered engineer Bob Ludwig’s 2011 remaster of the album alongside two discs of bonus tracks, a DVD of a new one-hour documentary, and a pure analogue re-cut of the original vinyl LP direct from the unmastered analogue master mix tapes. Queen and Lambert launched their European fall shows in Prague, Czech Republic on November 1, a run that also included 14 dates in their native UK, marking the first shows in the country in three years. Metallica paid tribute to Queen by performing their 1974 classic, “Stone Cold Crazy”, in Manchester, England on October 28 during their own fall tour. 2018 will see Queen return to live action in Auckland, NZ on February 17.